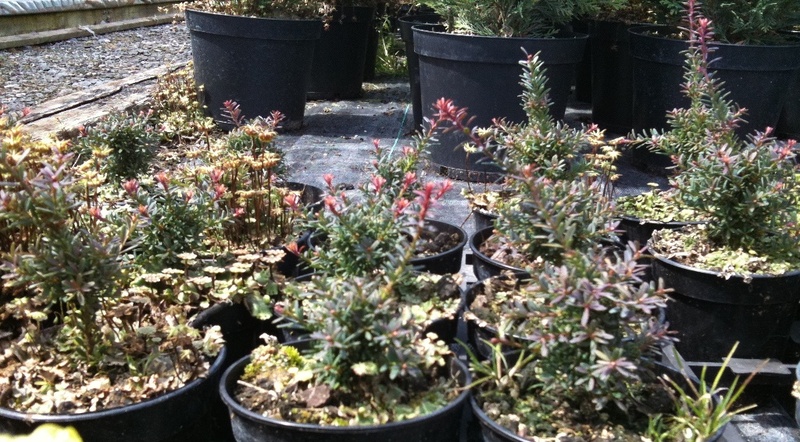 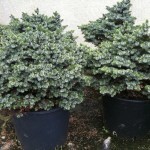 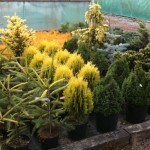 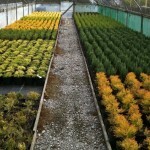 If you want nursery stock conifers for bonsai, particularly unusual and rare varieties then the place to go is Swanborough Conifers in Woodborough near Pewsey. 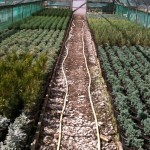 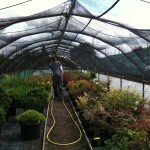 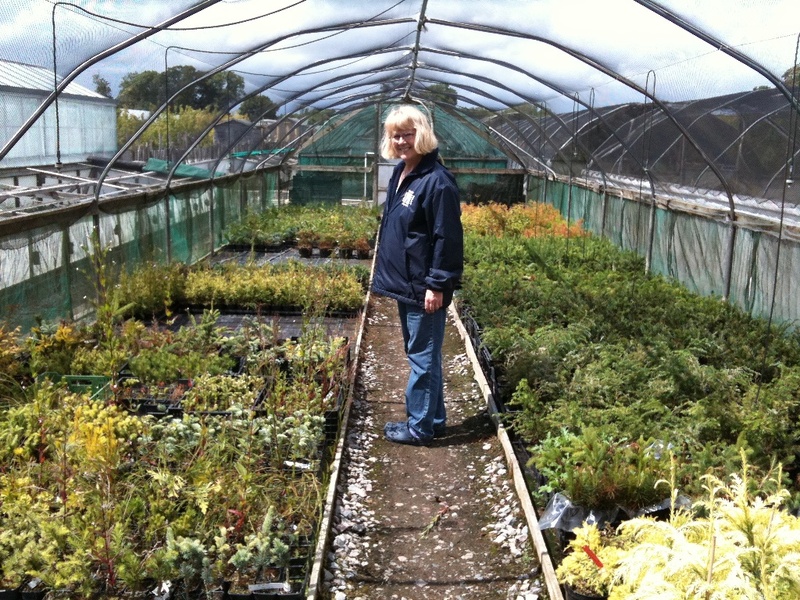 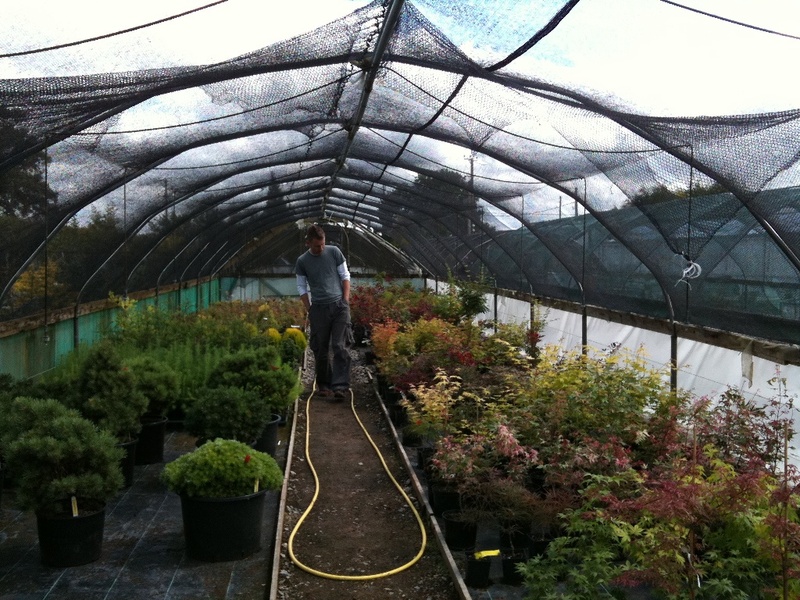 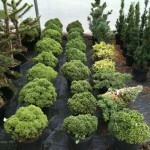 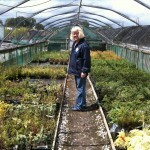 It is owned and run by Mark Harvey who is a master of grafting and who supplies nurseries like Westonbirt Arboretum. 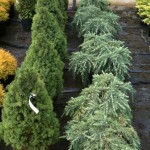 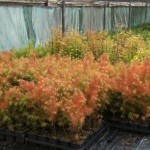 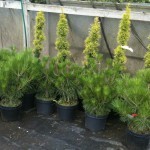 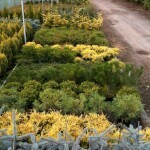 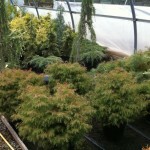 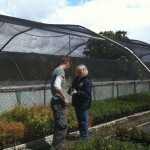 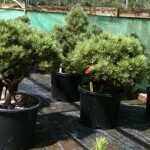 He is a specialist grower of conifers and maples and has over 100 grafted varieties in stock. 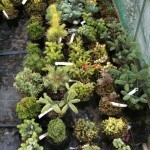 The nursery is open on a Monday to Friday between 8am and 5pm but it is advisable to phone before visiting. 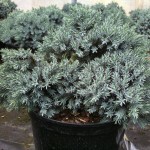 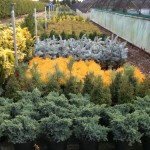 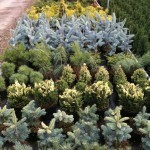 With so many different conifers to choose from, it was hard to decide and Mark has some great dwarf varieties like Chamaecyparis lawsoniana ‘Rimpelaar’ which is a rare, dwarf conifer with beautiful blue-grey foliage. 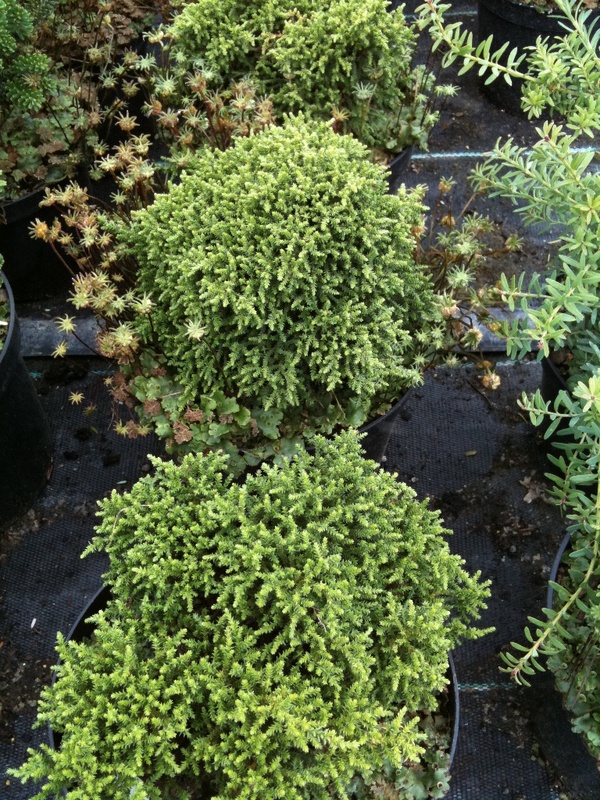 Also another gem was that of Cupressus macrocarpa ‘Woking’ which is the best miniature of this species with tiny scale like leaves in 4 ranks which are very closely set, concealing the stem. 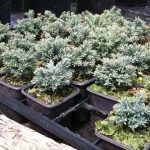 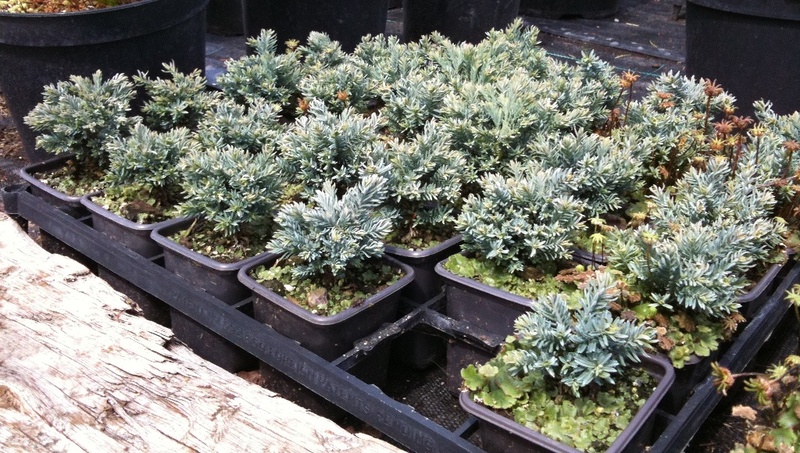 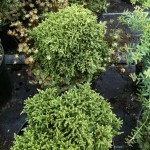 I was also pleased to find grafted Ginkgos and bought three new ones called ‘Everton’, ‘Jade Butterfly’ and ‘Mariken’. 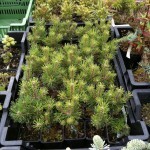 I also found a Picea abies ‘Doone Valley’ which is an extremely slow growing bush forming a minute bun of tightly congested growth. 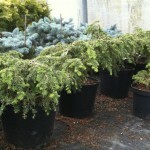 It is the most unrecognisable Spruce I have seen. 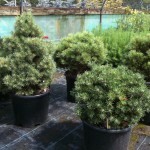 A fun one which may make a great mame was Podocarpus nivalis ‘Red tip’ which has tiny leaves and is densely branched. 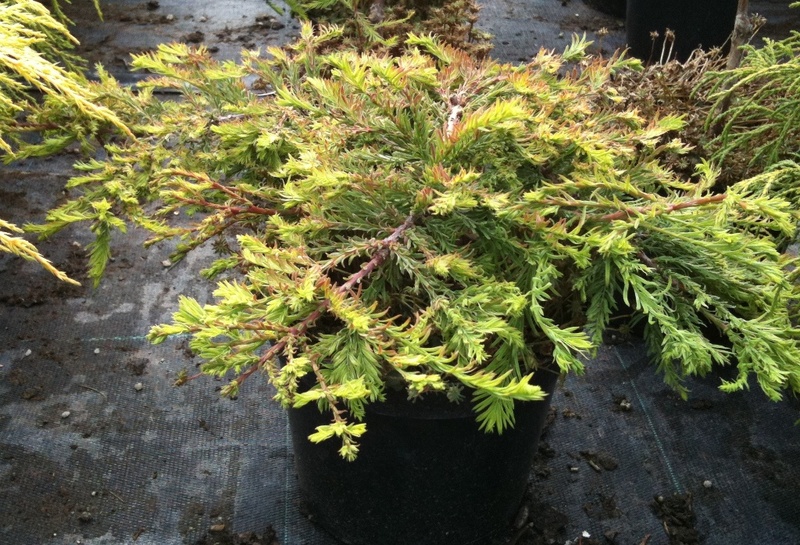 Swamp Cypress are another species of tree that perhaps are not ideal for bonsai due to being high water demanding species but this one caught my eye today Taxodium distichum ‘Secrest’ also known as a dwarf swamp cypress with fascinating flat, bun shaped habit and an unusual architectural form and frizzy foliage. 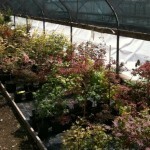 Acers are also available and one that I had not seen previously was Acer palmatum ‘Aratama’ again another dwarf form with palmately-lobed leaves emerging bright red to purple-red in spring, turning green-flushed, purple in summer and bright orange-red in autumn. 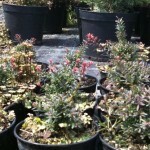 They have small, purple-red flowers in late spring are followed by red fruit in summer. 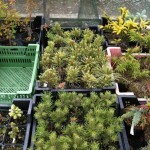 Posted July 8, 2011 by AW & filed under Visits.